The Vatican City is for the first time presenting at the Venice Architecture Biennale with an exhibition that calls in to question the design of the chapel in the 21st century. 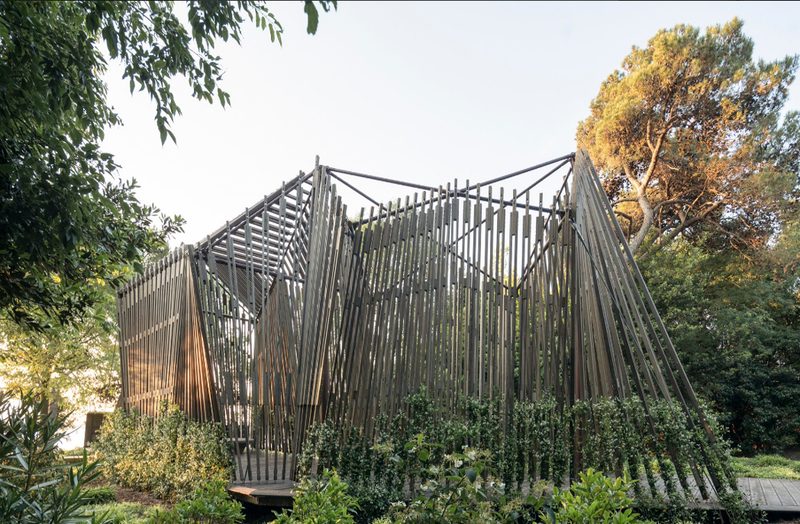 Curated by Francesco Dal Co, the Vatican’s aptly named Vatican Chapels exhibition takes the form of ten temporary chapels, each designed by a different architect, including Norman Foster, Eduardo Souto de Moura, and Andrew Berman. 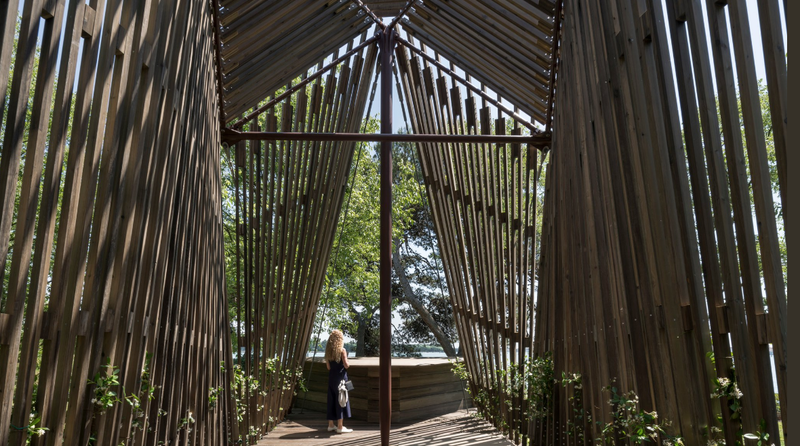 Located outside of Venice on the wooded island of San Giorgio Maggiore, the ten chapels are all based on the design of the Woodland Chapel, a geometric structure designed by Swedish architect Erik Gunnar Asplund. The idea behind the exhibition is to explore what a chapel means outside of a modern religious design, an aesthetic that Cardinal Gianfranco Ravasi, head of the Pontifical Council for Culture, has frequently called “ugly and inhospitable to prayer’. The starting point for the design concept of Norman Foster’s chapel was was to take three symbolic crosses set in the landscape, draped with a tent-like membrane. As the design evolved, the crosses became a tensegrity structure of cables and masts, whilst the membrane developed into a wooden latticework attached to the structure. Foster, founder and executive chairman, Foster + Partners says: “The project started with the selection of the site. On a visit to San Giorgio Maggiore, close to Palladio’s magnificent church and the Teatro Verde, I found a green space with two mature trees beautifully framing the view of the lagoon. It was like a small oasis in the big garden, perfect for contemplation. Our aim was to create a small space diffused with dappled shade and removed from the normality of passers-by, focussed instead on the water and sky beyond – a sanctuary”. Built by Italian furniture company Tecno, the chapel structure reflects the lightness and ethereal nature of the original concept. It consists of a ramped steel floor structure that supports a timber deck and a tensegrity structure, which is made up of steel masts and cross arms, braced by prestressed steel cables and small inclined circular hollow sections. These enable the horizontal cross-arms and vertical masts to be separated from one another while remaining structurally stable. Together, they create a roof structure capable of resisting both vertical gravity loads and lateral wind loads. The space is enclosed by a series of thin timber slats made from larch that span from the deck to the tensegrity structure. They allow dappled light to enter the space while providing shade and defining the chapel’s volume. 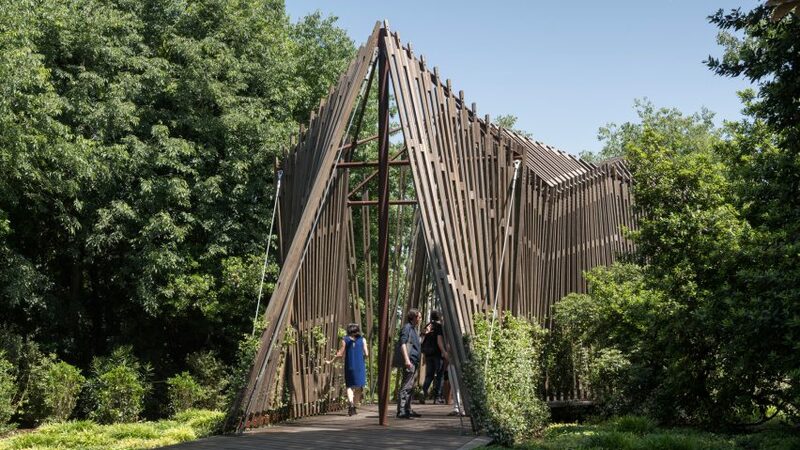 The connections between the timber slats and the tensegrity structure were designed to slide independently to ensure that the slats would not be overloaded when the entire structure moved under wind loads.